For full history and more photos, click the links below. 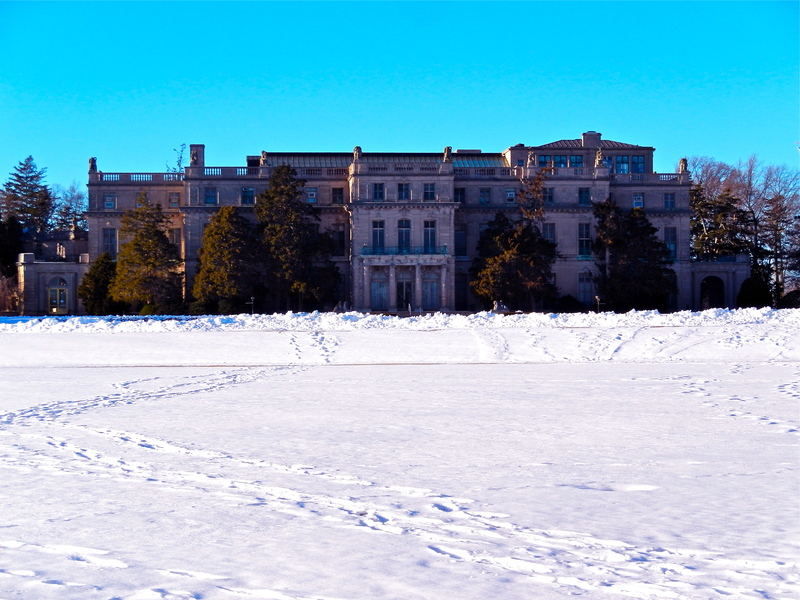 Northern Facade of Shadow Lawn Mansion. Great Hall of Shadow Lawn. 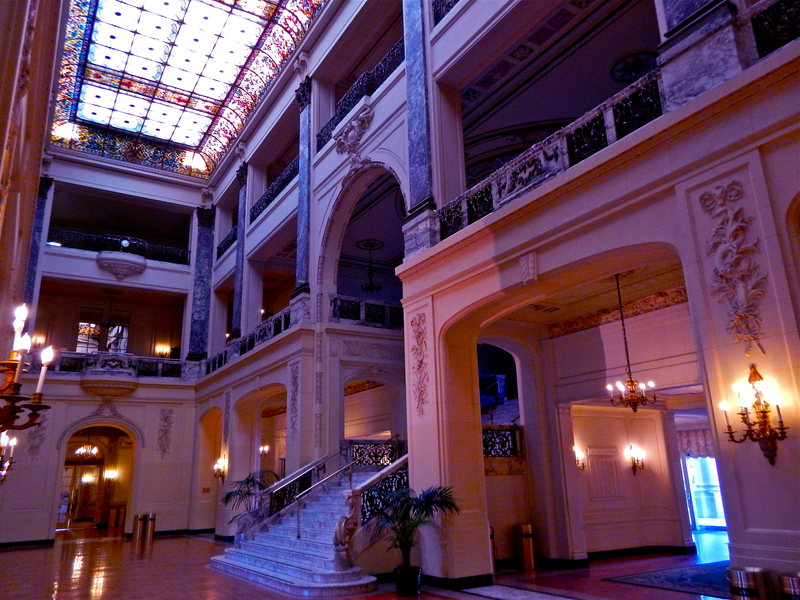 Main three out of five levels surround the massive room with large, marble staircase made famous in the 1982 movie, Annie. 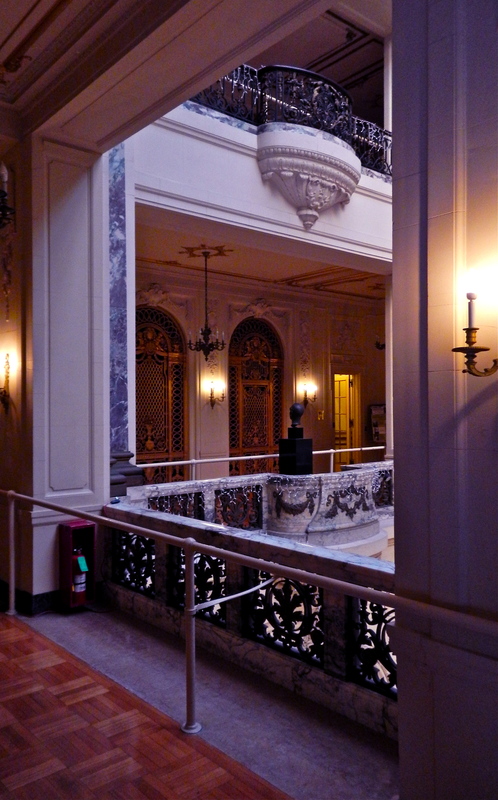 Grand staircase up to second floor. Large space joined with the Great Hall. 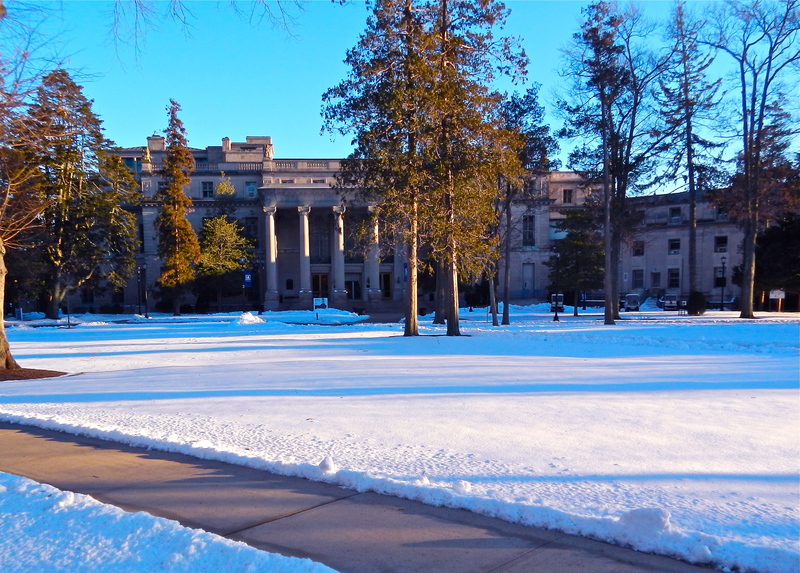 Monmouth University uses this space for large events such as fundraisers and fashion shows. Looking towards the southwest portion of the Great Hall. 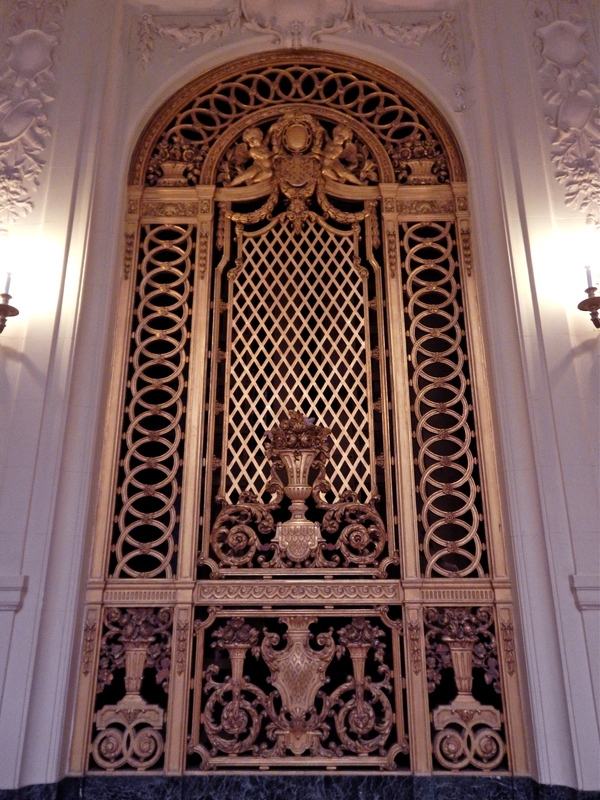 One of two fireplaces in the Great Hall. A large button panel hangs from the wall with the original playlist still printed beside each button for music to play throughout the house. It as close to an Ipod as one could get in 1927. 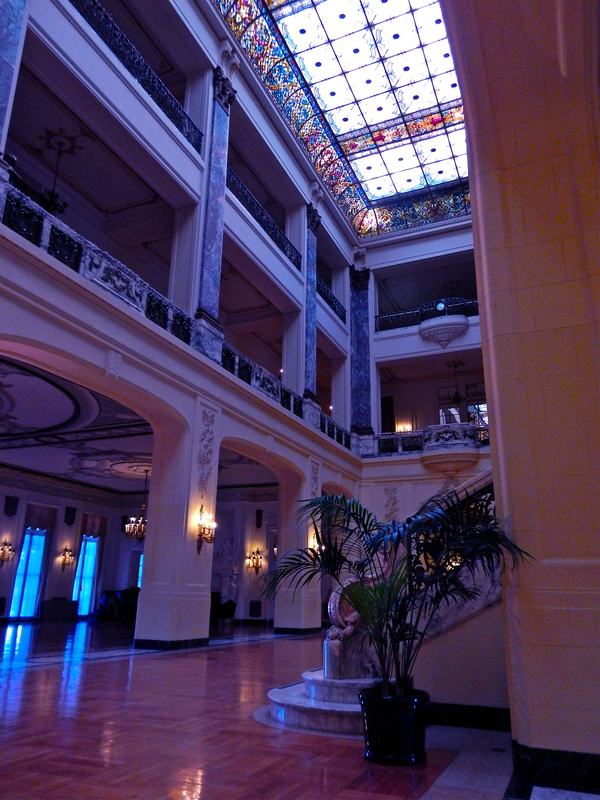 The smaller skylight over the hidden, marble stairwell that connects the second, third, and fourth floor. 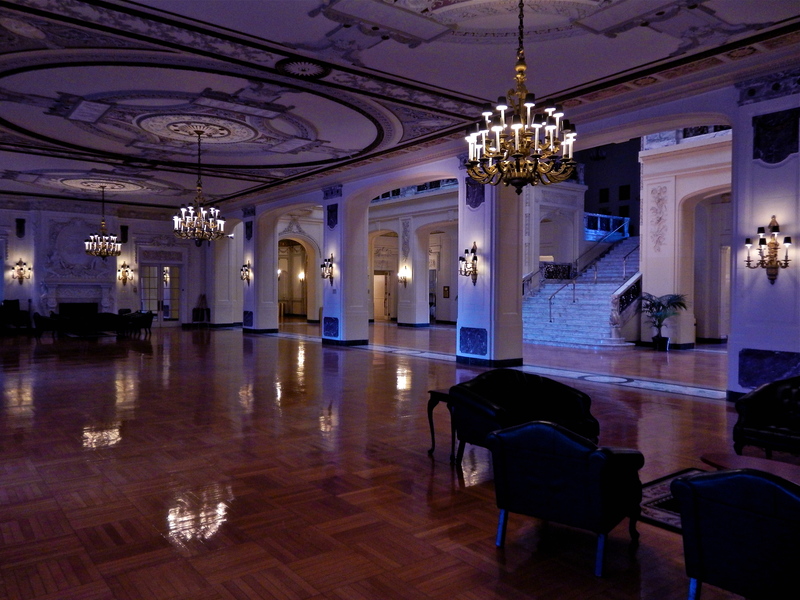 Second floor hall surrounding the Great Hall. 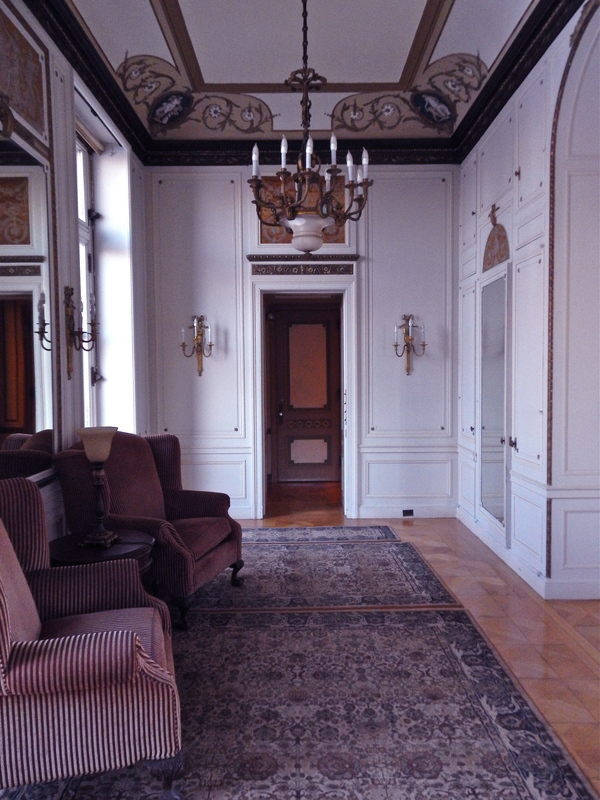 Eastern side of the second floor hall. Behind this wall is a private hall that connects Mr. Parson’s bedroom, bathroom, lounge, master family room, master foyer, Mrs. Parson’s bedroom, bathroom, and lounge. The entire master suite is larger than most houses. 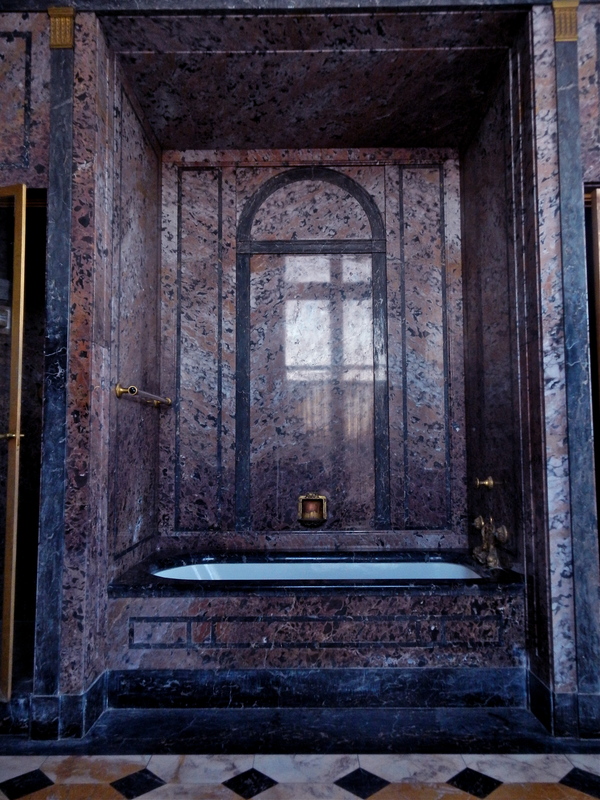 Mr. Parson’s Marble bathtub. 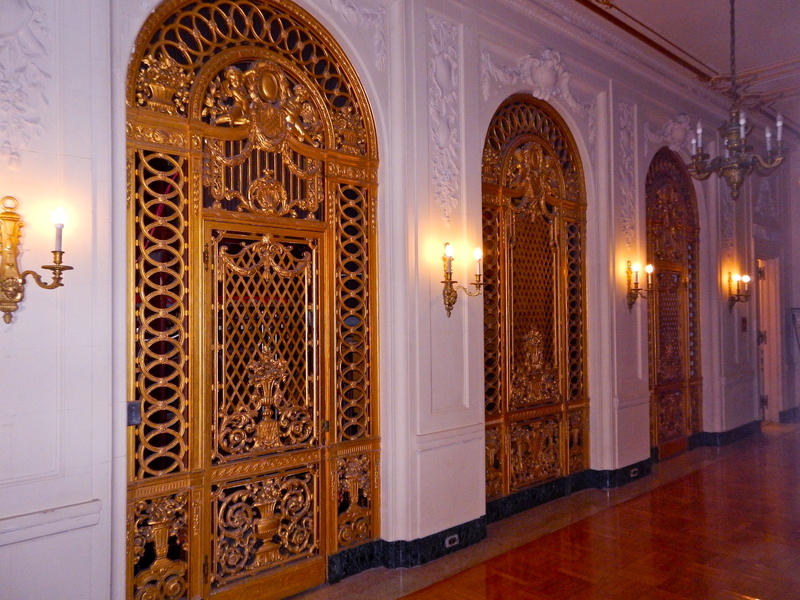 Fixtures in the bathrooms throughout the home were gilded in 14 Karat Gold. 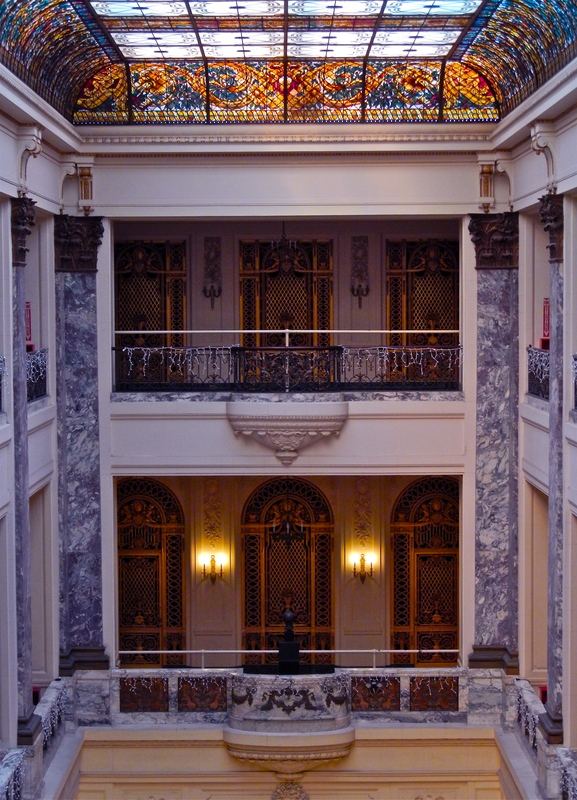 Looking form the second floor west balcony towards the east side. 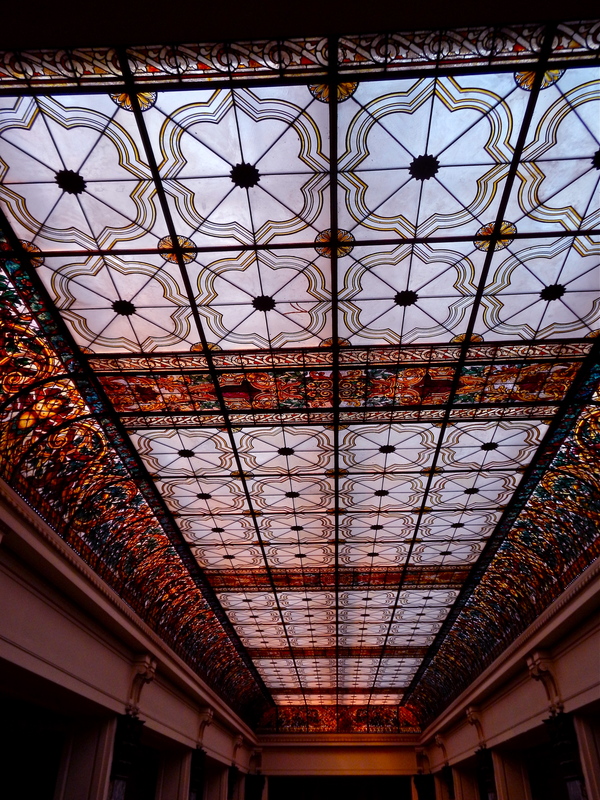 100-foot-long Venetian stained-glass ceiling over the Great Hall. 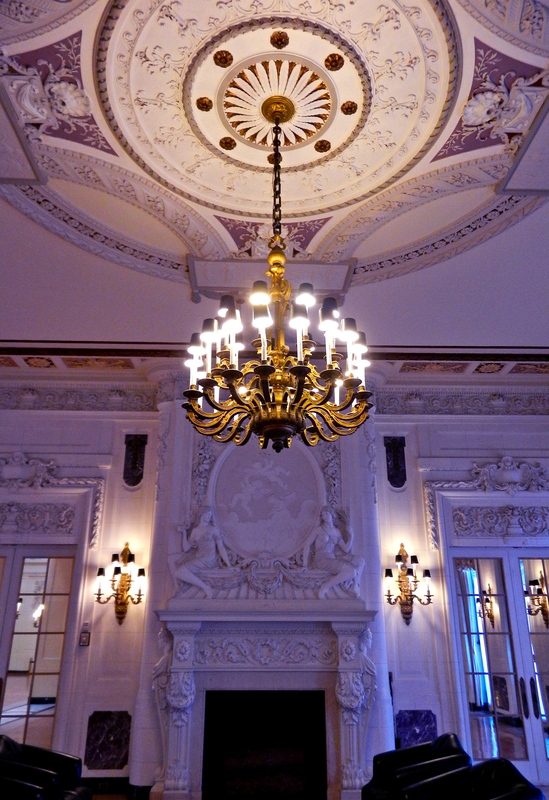 The sun lights the colorful ceiling during the day, but at night 165 bulbs illuminate the magical window. 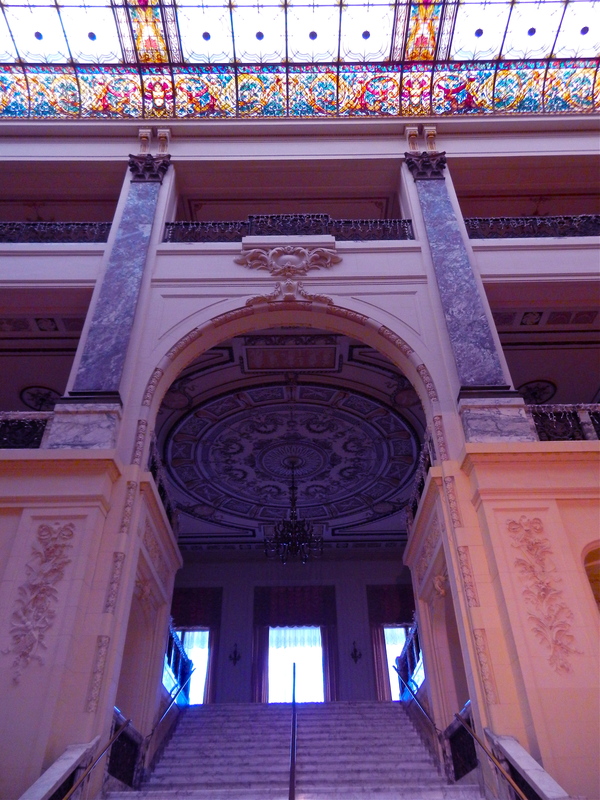 One of the most impressive ceilings from the Gilded Age/1920s. 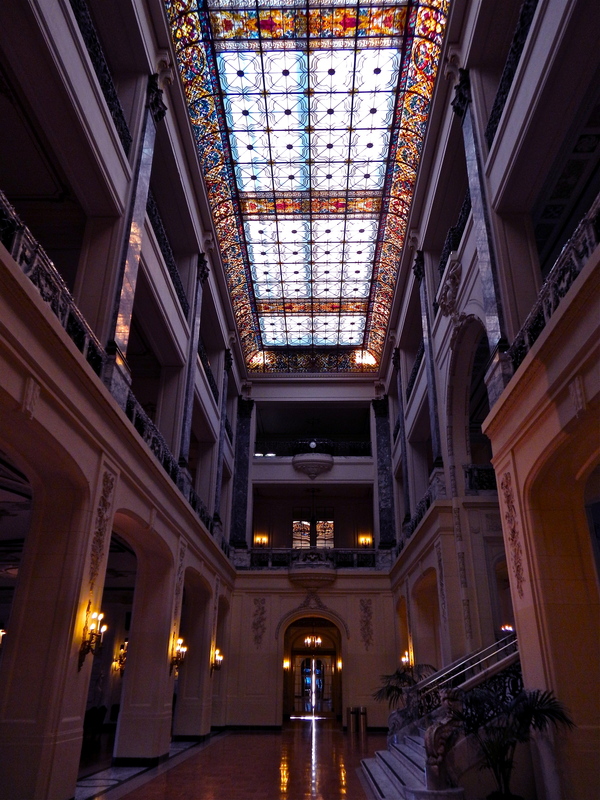 165 bulbs give the 100-foot Venetian window a warm glow at night.